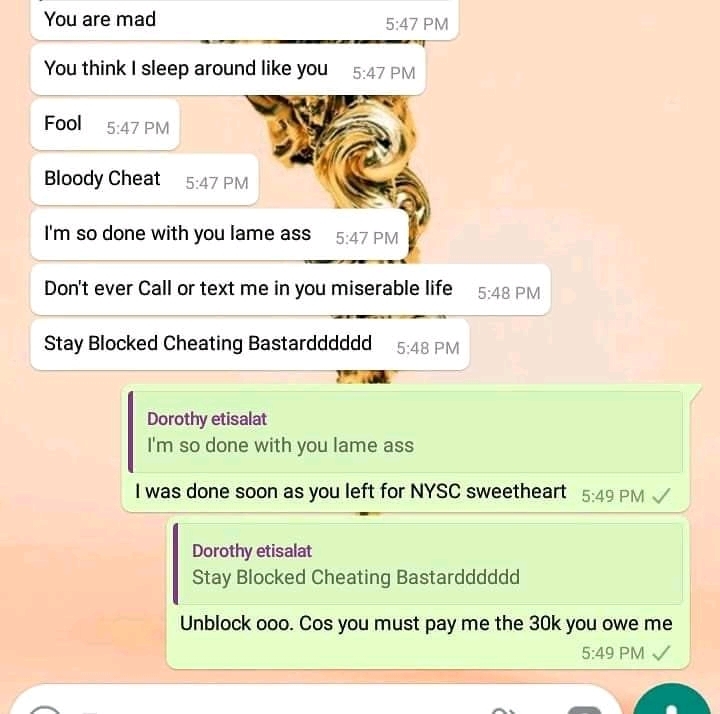 This is naija where everyone guards their property like no tomorrow. 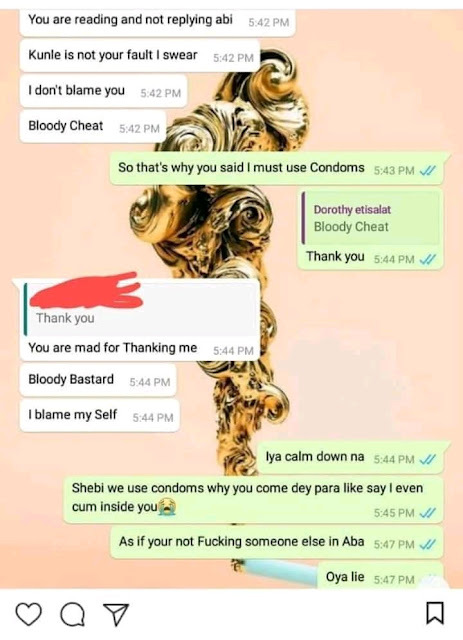 I saw this whatsapp chat between a boyfriend and his girlfriend and I almost cracked my ribs. 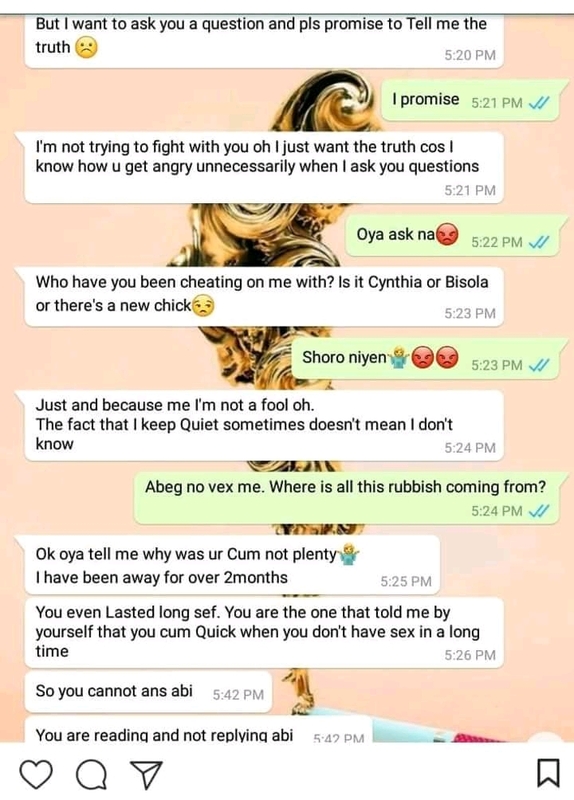 Me, I dont blame her o, as a lady you should know how to protect your man and it's vice versa. Besides, we all know a cheating partner is a health risk. 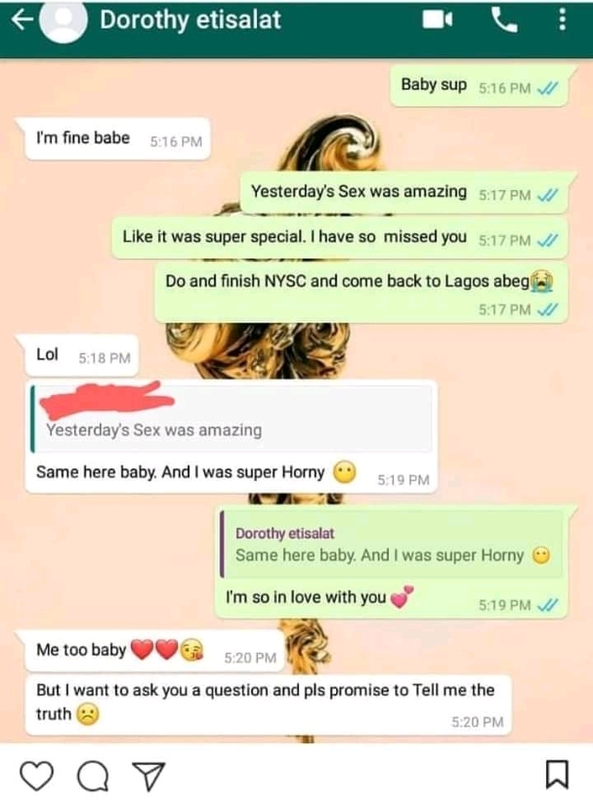 So this lady who went for her NYSC at Aba returned to her cheating boyfriend in Lagos and she found out he was cheating in the most epic way.